If you are looking for help on Empire City Online Casino, please look through the below Frequently Asked Questions. Should you have any queries that are not covered below; you can contact our friendly Customer Services Team at customerservices@play.empirecitycasino.com. ♦ How do I Sign Up? ♦ Is it free to join? ♦ What are Virtual Credits? ♦ How do I get more Virtual Credits? ♦ Can I exchange or redeem my Virtual Credits? ♦ How can I personalize my online account? ♦ How can I link my Empire Club Card to my online account? ♦ What type of games can I play? ♦ How do I play the VIP games? ♦ What are XP points and how are they calculated? ♦ What browsers does this website support? ♦ Can I play on a mobile phone or tablet? ♦ What if I have lost my password? ♦ What is a leaderboard? 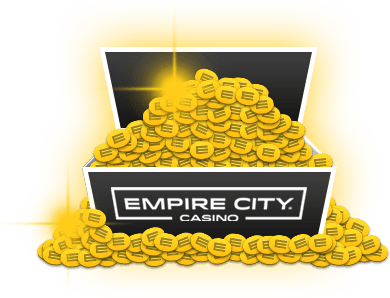 It is easy to sign up to Empire City’s Online Casino, simply visit the registration page, create an account and password by registering with your e-mail address and start having fun! As a “Thank You!” for choosing us, we’ll offer you $5,000 virtual credits to play your favorite Slots and Table games. Yes. Sign up is absolutely free. Every new player is welcomed with free Virtual Credits to play with. You can use your Virtual Credits to play the Empire City Online Casino games. If you run out of Virtual Credits don’t worry, if you log back in to your account 24 hours later you will automatically get free Virtual Credits added to your account. If you can't wait 24 hours or would like to add to your Virtual Credits, you can continue to buy credit packages here. Every Empire City Online Casino player has an account which contains Virtual Credits. These Virtual Credits appear as dollars ($) and are used to play the games in the Empire City Online Casino. No. Virtual Credits cannot be redeemed or exchanged for money or money's worth at any time. Virtual Credits are used to play the games in the Empire City Online Casino for entertainment value only. Personalize your account by entering your first name, last name and Date of Birth to receive an additional $5,000 virtual credits for free. To personalize your account, click on your Username and select “Personalize”. 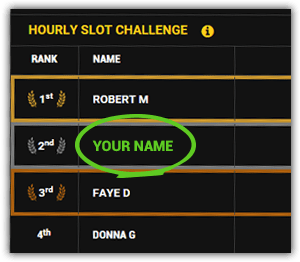 Once you have personalized your account, your name (first name and last name initial) will appear on our Leaderboards and Slot Tournaments. How can I link my Empire Club Card to my online account? Link your Empire City Rewards Card to your Empire City Online Casino account by selecting the option “Empire Club Card” and fill in the information required. 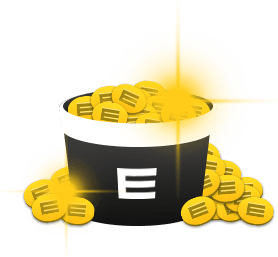 You’ll receive extra $10,000 virtual credits instantly and you will earn Empire Points as you purchase Virtual Credit packages. You can enjoy a wide range of casino Slot and Table games. You will also see some familiar slot games that appear at the Empire City Casino at Yonkers Raceway such as Roaming Reels, Dragon Lines and Total Meltdown. All games marked with a VIP star require at least $20,000 in Virtual Credits in your Online Casino account to play. You can accumulate enough Virtual Credits playing non-VIP games or purchase Virtual Credits here to become a VIP and play in the VIP area of the Online Casino. Yes. You can visit Empire City Online Casino using a smart phone or a tablet. Download your choice of mobile gaming App from the Google Play Store (for Android devices) or from the Apple iTunes App Store (for iPads & iPhones). If you are still experiencing difficulties, you can contact one of our friendly Customer Services Team at customerservices@play.empirecitycasino.com.